Lenovo-owned Motorola is all set to unveil its next-gen Moto G series smartphones at an event in Brazil on February 7th. 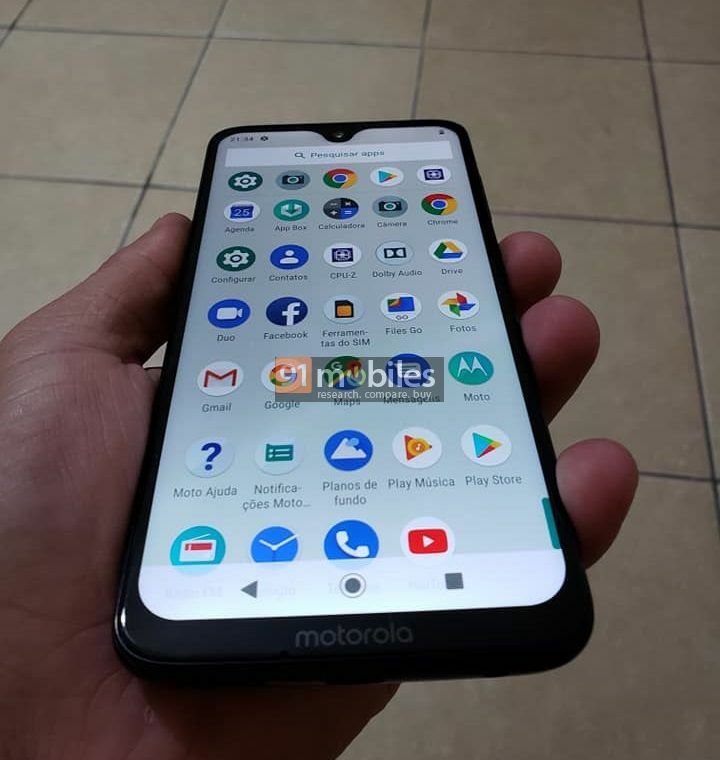 The company is expected to introduce as many as four new Moto G series handsets, which are rumoured to be the Moto G7, Moto G7 Plus, Moto G7 Play, and Moto G7 Power. Ahead of the unveiling, we’ve already seen a handful of press renders and live images of the next-gen Moto offerings. 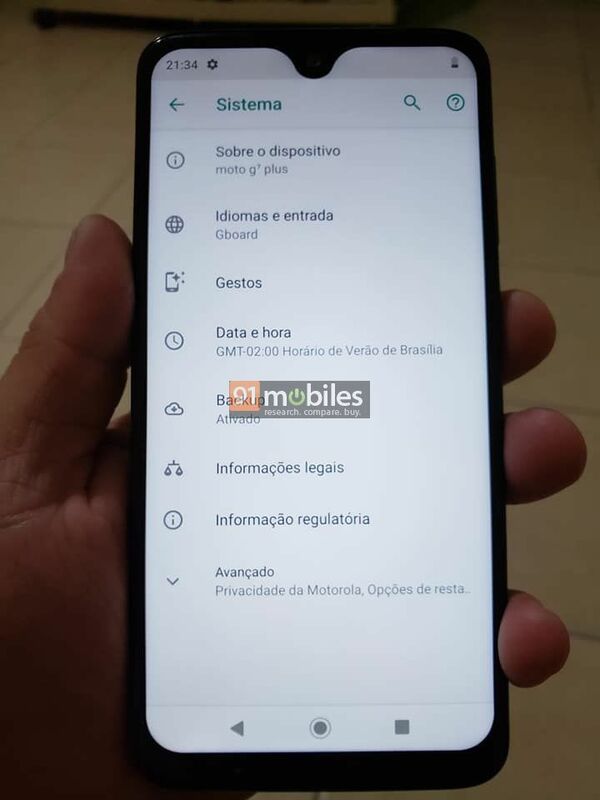 Now, a fresh batch of the hands-on images of the Moto G7 Plus has been leaked online. 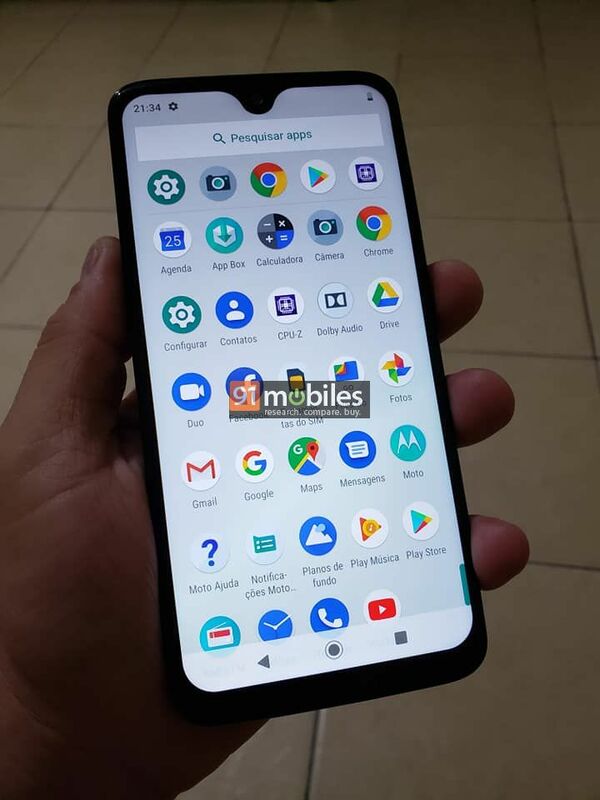 An anonymous tipster has sent 91mobiles a few hands-on photos of the Moto G7 Plus. 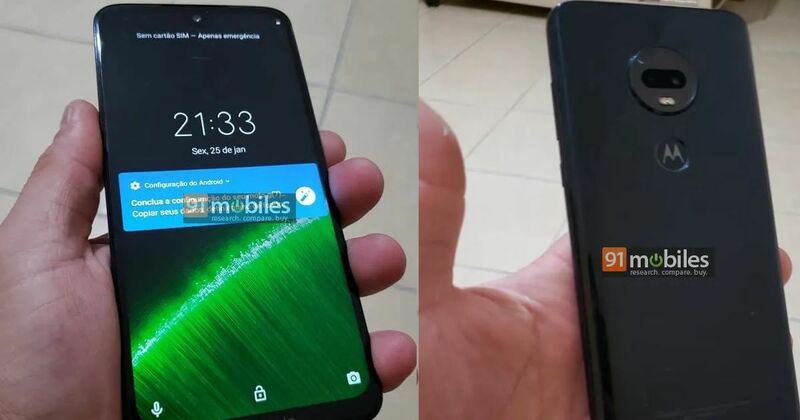 The design of the phone in the newly leaked images is in line to the earlier leaked snaps. 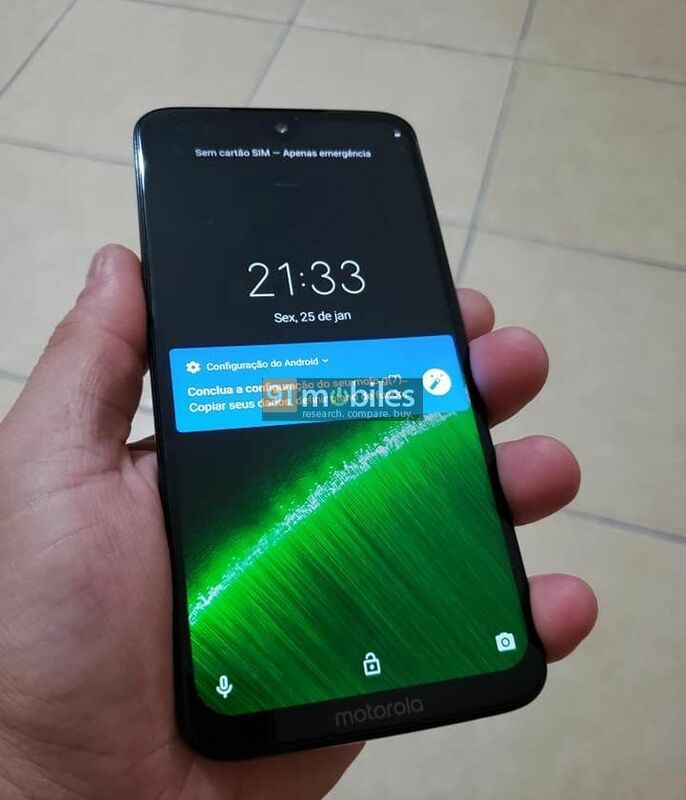 Talking about the design first, the latest photos also suggest that the Moto G7 Plus will adopt the popular waterdrop notch above the screen, and will offer slim bezels. 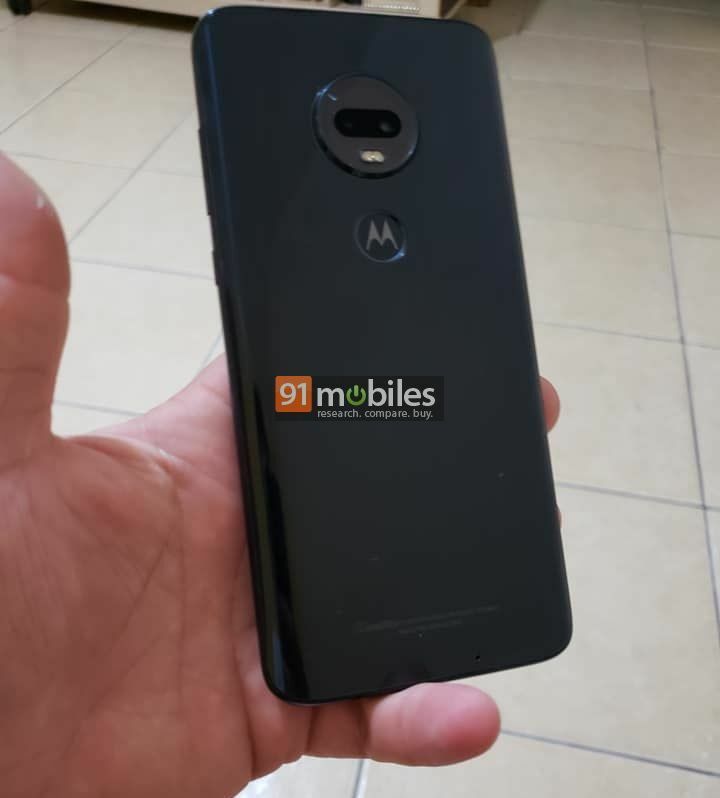 The rear of the device will be curved that will house the dual camera setup as well as the Moto dimple, which will double as a fingerprint sensor. The user interface of the handset clearly indicates that it will boot vanilla Android Pie out of the box. As far as the specs are concerned, these were accidentally leaked by Motorola’s website recently. The phone is said to come with a 6.24-inch display bearing a resolution of 2,270 x 1,080 pixels. Powering the handset will be an octa-core 1.8GHz Snapdragon 636 processor, aided by up to 6GB of RAM and 64GB of expandable storage. For imaging, the device will get a dual 16MP + 5MP camera setup at the rear, and an 8MP front shooter. The other leaked features include face recognition functionality and a 3,000mAh battery. Talking about the pricing, if the reports are to be believed, the Moto G7 series phones will be available at a starting price of around Rs 17,000. We will keep you informed as soon as anything new pops up about these phones, so stay tuned to 91mobiles.